True or false—a change order under a construction contract must be signed in order to get paid. The answer is – it depends. Quite often our clients call or write us with this very issue. An owner or a general contractor requires work done on a project. Usually the work is time sensitive, there is a handshake understanding on the job, and the work is completed accordingly. Thereafter either the change order is slow in getting submitted, gets lost on the owner or general contractor’s end, there is radio silence from the owner or general contractor, or you are told “we’re not paying that, you didn’t get a signed change order as required under the contract.” Sometimes it is a combination of any—or all—of these scenarios. Now what? First, get your facts and information together quickly. Pull the contract for the job and review the sections on payments and change orders. Determine the history of the request for the work at issue, why the work was started and/or completed before the change order was signed, the history of the relationship between the parties, gather any correspondence related to the change order, and gather any notes related to the change order. Second, call your construction lawyer. We have seen this issue and fought this battle before. In Pennsylvania for several decades, courts have required payment to contractors in this exact scenario even in the absence of a written and executed change order. Courts have gone so far as to say it should be obvious when a contractor is requested to do extra work, payment for the work is promised, and the party requesting the work watches it performed knowing that it is not authorized in writing, payment cannot be withheld on the grounds that no written change order exists. This is a fundamental issue of fairness in that it would be manifestly unjust for a party that misleads another party to a construction contract into doing extra work at their cost without a written authorization, only to benefit from non-performance of that condition. Third, we will work with you to figure out a strategy to get paid. Sometimes working out a quick resolution is best, but not always. 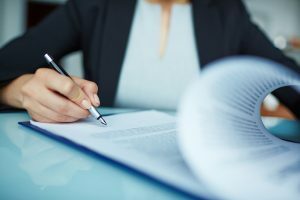 Depending on the contract language and the facts at hand, you may have additional damages under various statutes entitling you to interest, penalties, and attorney’s fees. In a perfect world, all change orders will be signed and paid promptly. However, anyone who has spent more than five minutes on a jobsite knows that is not the world we live, work, and operate in. The primary take away here is that just because the owner or general contractor failed to sign your change order, does not absolutely mean you will not get paid. There are no guarantees and the contract requirements cannot be ignored. Even so, we are here to help—and have successfully done so on this very issue—and can best do so if we are involved quickly. Nate Fox is a real estate, construction, and business lawyer. He represents developers, homebuilders, property owners, business owners, and construction clients in transactions and zoning and land development proceedings. Nate brings uniquely practical experience from his time as a project manager for two luxury homebuilders to zoning, land development, and construction matters. He has successfully represented and appeared on behalf of clients in the state and federal courts of Pennsylvania and New Jersey, as well as before various municipalities in southeastern Pennsylvania, the Lehigh Valley, and New Jersey.